The seriousness was suggested again later Friday night, when White Sox first baseman Jose Abreu had Martín’s name scrawled on his hat for the final game of the team’s series against Cleveland. Indians President Chris Antonetti provided a more detailed description of Martín’s condition Monday, and it is indeed terrifying: Martín’s internal organs have been under attack from a life-threatening bacterial infection. 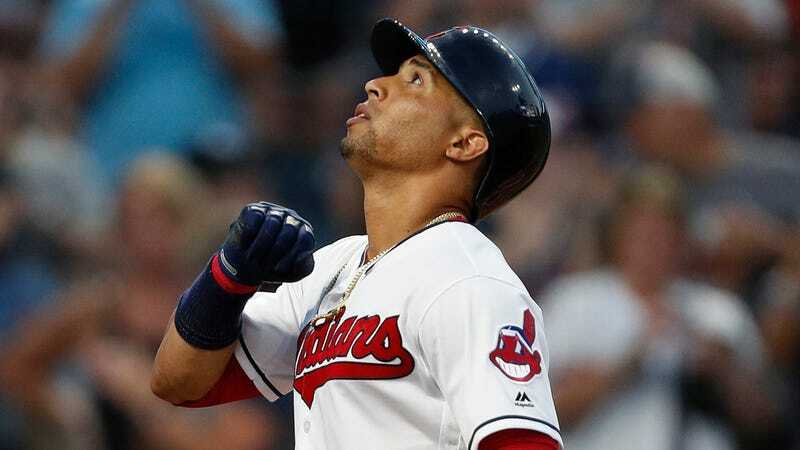 The 30-year-old outfielder joined the Indians on July 31, in a trade with the Detroit Tigers. In six games with Cleveland he’s batting .333 with a pair of dingers.